We want to invite you to join us for an exciting Easter weekend! Easter is family time: Giving gifts to the kids, hiding eggs, and just being together. 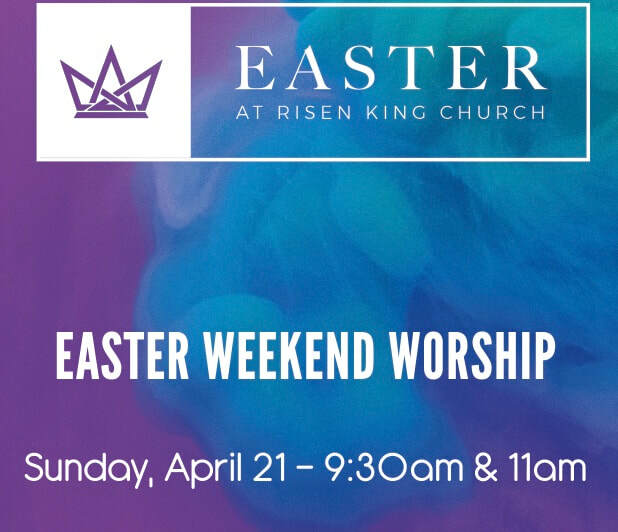 This year why not start a new tradition, bring your family to celebrate Easter with our family at Risen King Church. Join us for a special celebration with some thing for everyone-- great live music, a powerful easter message. Your kids will enjoy a state of the art facility, designed with them in mind. They will be engaged on their level with the life changing message of Easter in two identical services 9:30a & 11:00a. You will be engaged with a modern worship band and the timeless message of Easter. You can choose from two identical service. Both our 9:30am & 11:00am celebrations include child care and kids church.